one; the mobile is ubiquitous. there were well over two billion of them in the world by 2005 (source) and in the UK we have more mobile phones than people (source). "a cellular phone is distinctly personal ... this personal association creates a very powerful attachment ... one very close to addiction ... European cellular phone companies have coined a name for the new concept, called "reachability" ... on the fixed line phones you call a place, on a cellular phone you call a person ... reachability is the human need to feel connected ... a passive continuous connectedness in case the important call arrives or event happens ... reachability is the single most addictive aspect of a cellular phone"
three; it's already a device we use (in albeit for some a limited capacity) for interaction with other (mainstream) media, as anyone who's ever voted on a Simon Cowell show can testify. whilst out on Friday night a friend sent a facebook message via his mobile - essentially disintermediating the phone network in the process. four; unlike the internet, we're willing to pay for stuff on our mobile phones. a report cited by Dr Jaques Bughin in an essay for IDS' volume 'New Language for the New Medium of Television' (see here for details) found that mobile users would be willing to pay between 5 to 10 euros a month (and up to 15 euros for month). 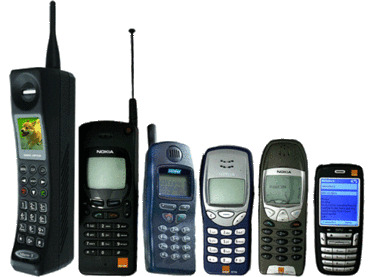 five; mobile phones have won every battle they've taken on. in 2001 global sales for camera phones numbered less than 2 million, with digital camera sales well over ten times that amount. by 2002 camera phones were up to 18 million worldwide, 84 million by 2003. and by 2004 digital phones outsold digital cameras by 4-1. the rest is history. a similar stories can be told for PDAs vs smart phones, and many more people play games on mobile phones than any other platform (source: Ahonen + Moore p49, 55, 68). but for a combination of reasons - including-but-not-limited-to - lack of a standardised revenue model, downloading capacity and hardware and software limitations, media consumption on the mobile phone just hasn't happened. then last week the omnipresent Google - the highest-profile member of the Open Handset Alliance made an announcement. the Android platform is (arguably) Google's answer to the i-phone. but it is not - repeat - not, a phone. its software. software that is open to be developed by anyone - including advertisers and brands - who'd like to develop some. the opportunities for brands are multiple and varied - TV access, gaming, retailing (eBay phone application to track your auctions anyone), or bespoke applications that allow consumers integrate and interest with broadcast advertising campaigns... in real time, whereever they are?! Google have even put $10m up for grabs to those that develop the best applications. as Google point out, the vast majority of stuff that will work on phones isn't out there yet. what's new news is that creating that stuff just got a lot more accessible... does it represent a watershed? very possibly. the mobile phone's waited longer than it would have liked to become a mainstream media device, and now with Google's backing, that ambition could soon - finally - become a reality.